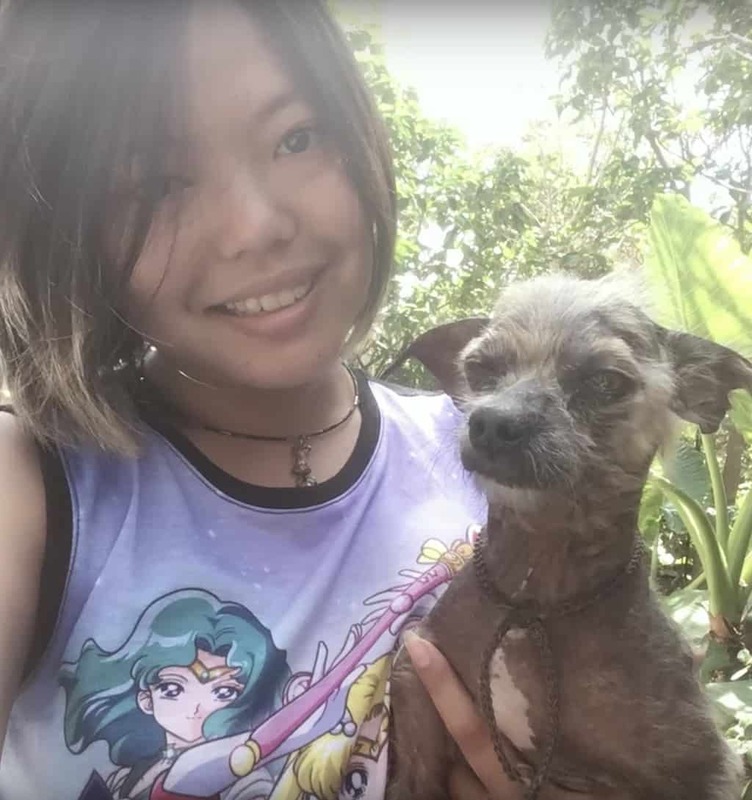 When Andrea, a YouTuber who also goes by the name Misus Yaya, found Benji he was shivering on the side of a busy road. He was also in an extremely poor condition and in desperate need of help. The YouTuber immediately stopped to help the poor pup. 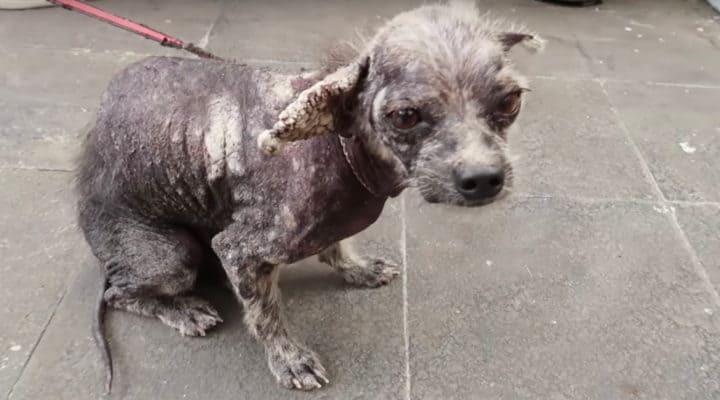 Benji was covered in mange which rendered him hairless. 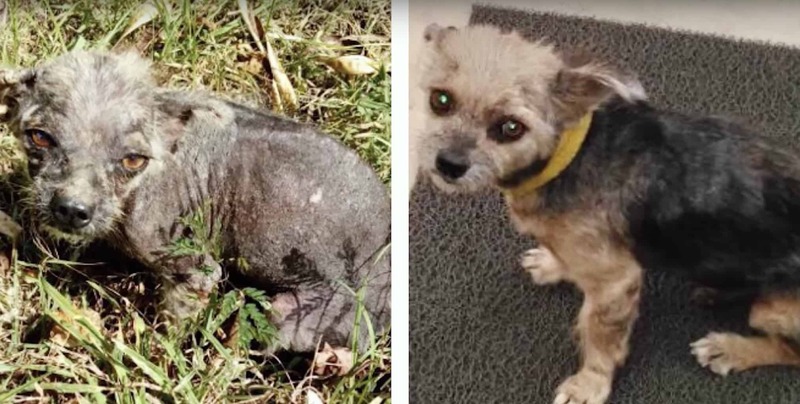 He had sores all over his body and was severely malnourished. His ears had crusted over from what was believed to be a sarcoptic mange infestation. 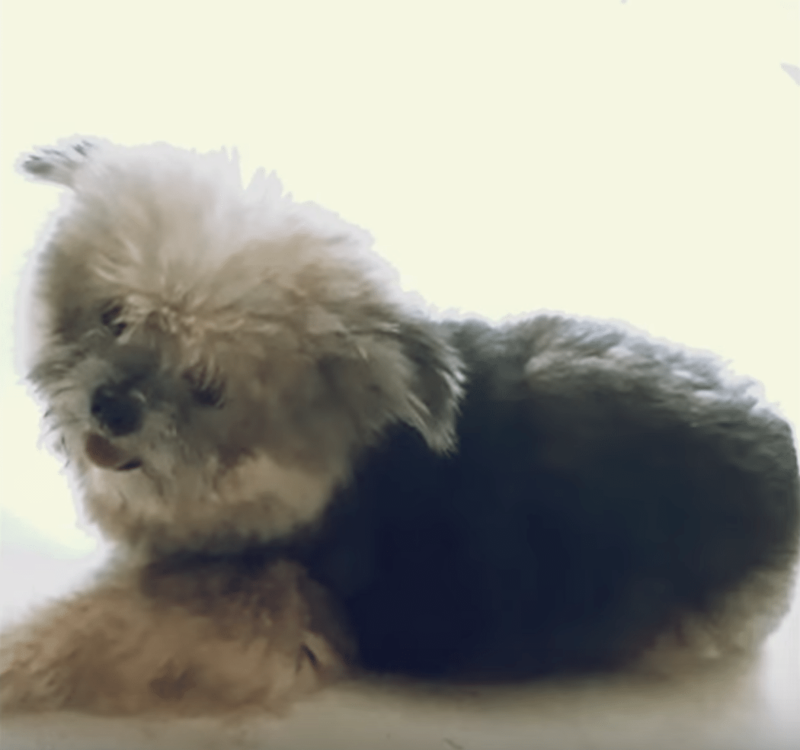 Andrea rushed Benji to the veterinarian who gave him a grim diagnosis. The vet suggested that Benji be put down. But looking at his sweet face, Andrew just couldn’t do it. She refused to give up on Benji, knowing she’d at least have to try to save him. First Benji would need doctor-administered antibiotic injections and around the clock care. Then it was time to get Benji cleaned up. “He smelled so bad back then and taking a bath didn’t help to make him it go away,” Andrea said. Andrea gave him a bath about once a week and rubbed Benji down with virgin coconut oil daily after hearing that it had antimicrobial and antifungal benefits. “I was so amazed at how fast his skin healed,” Andrea said. Andrea also made sure that Benji got a healthy diet. He also got lots and lots of love. It wasn’t long before Benji’s personality and spirit started to change. He began to act like a happy puppy again. He would wag his tail when he saw Andrea, run, and play. He loved going on trips to the beach and getting to roll around in the sand. It wasn’t long before his hair started growing back. Benji was now a scrappy and happy puppy. His hair grew back long and he became a soft teddy bear of a dog. You wouldn’t believe that he is the same dog as Andrea found on the street. 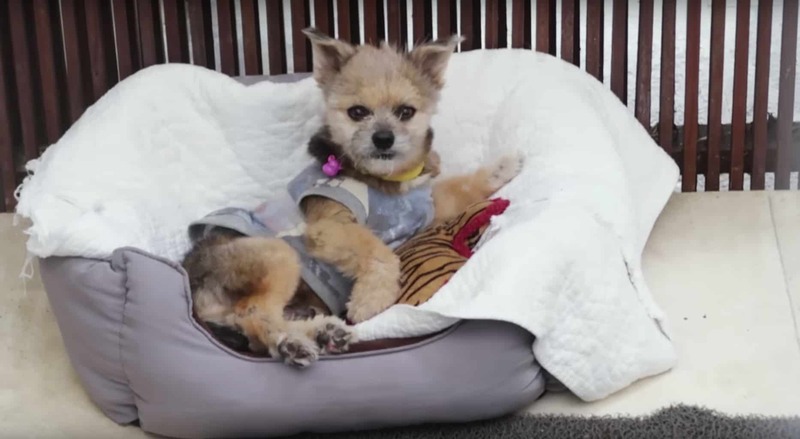 “I hope Benji’s story will inspire others to do the same, be kind animals in need and adopt don’t shop,” Andrea said. 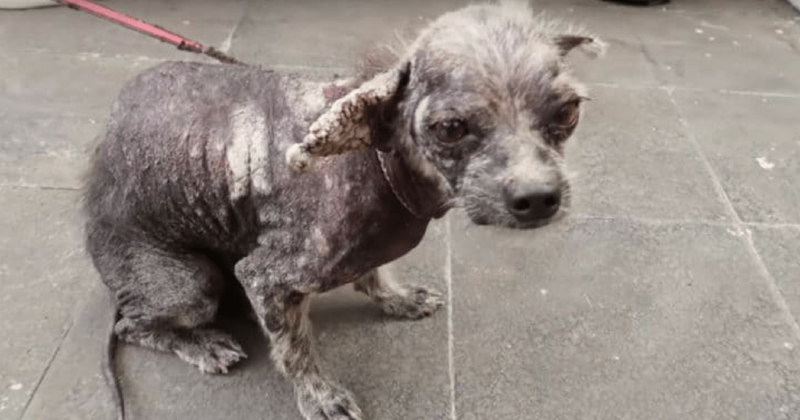 Watch Benji’s amazing transformation in the video below.